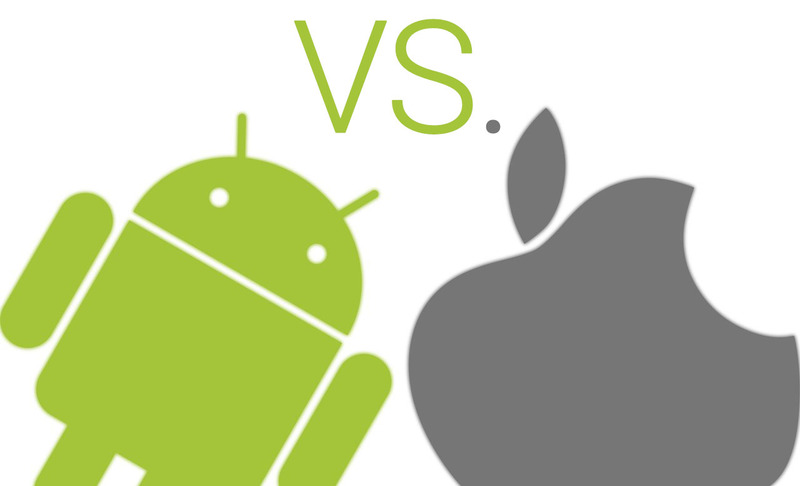 According to the latest month web traffic report by NetMarketShare, Android has unseated iOS sometime this July. Google's Android platform accounted for 44.62% of total Mobile Web traffic, whereas iOS trailed a little behind with 44.19%. Apparently, this is the first time Android has taken the lead in this department. While some may argue that the lead is negligible, it appears that Android's dominant position on the market is finally beginning to pay off for Google. The latest official data from one of the most trustworthy sources, Strategy Analytics, revealed that Android accounted for 84.6% of the smartphone market in Q2 of the current year. Broken down to OS versions, Android 4.1 Jelly Bean contributed for 10.03% of all mobile traffic, Android 4.4 KitKat for 9.28%, and Android 4.2 for 8.77%. Meanwhile, more than half of iOS's result is formed by users, who accessed the world wide web from their iPad tablets. Two of the other relatively major operating systems, Windows Phone and BlackBerry OS, grasped 2.49% and 1.21% of said market, respectively. 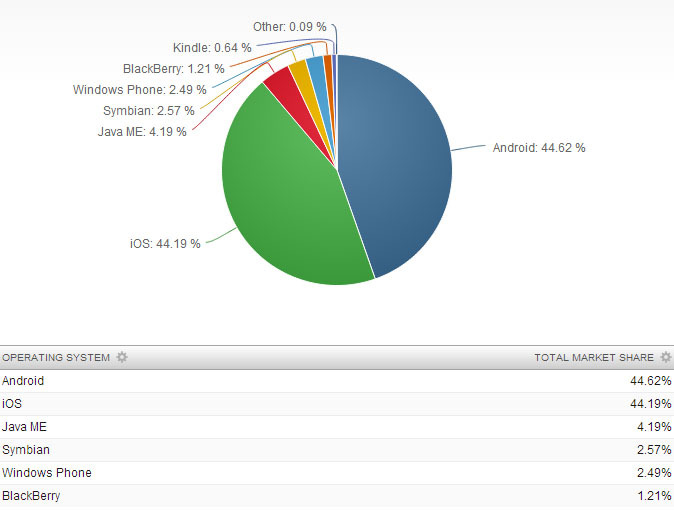 Java ME and Symbian, however, stood between them and the leaders, Android and iOS.